Three years ago, when Father Seamus retired, our Saint Patrick Catholic Church & School community found itself in an unfamiliar position – there wasn’t another priest waiting in the wings to jump into the role of pastor. The bishop appointed Kevin Lovejoy as our pastoral coordinator and our local Jesuit community stepped forward to help us through the transition, appointing Father John Fuchs, S.J. ; Father Tom Lamanna, S.J. and Father Jerry Graham, S.J. as our parish priests. Their role was primarily to celebrate the sacraments with us as we waited for a new pastor. Of course, we all know our Jesuits have done so much more. The three of them along with Father Pete Henriot, S.J. and Father Jim Harbaugh, S.J. and others have faithfully served us these past years. However, there is no doubt that one of them has been asked to go far beyond the original intention of this arrangement. I have to wonder if Fr Jerry knew what he was getting into when he began his ministry here at our parish. Did he know what an impact he would have on our community? He celebrated weekly liturgies and wrote countless homilies that would encourage us not just to look for Jesus inside ourselves but to find Him and serve Him in the least of his people. 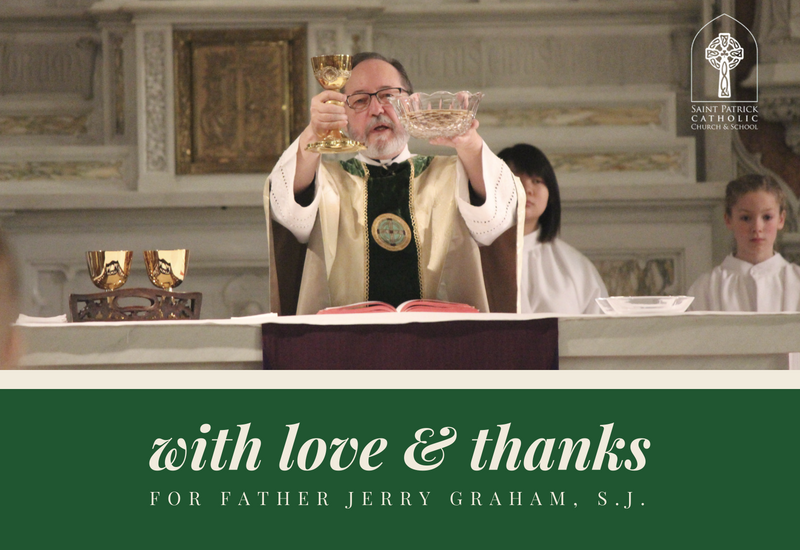 Fr Jerry celebrated many funerals, bringing comfort to the grieving and reminding us all that our love can’t be complete here, but only in heaven. He made hundreds of home visits and hospital calls, bringing Jesus to us when we were sick and dying. He stood over the font and baptized countless children in the name of Jesus, welcoming them to our faith community and sparing no holy oils in the process. He shepherded dozens through the RCIA process— gently guiding them to the Easter sacraments and an understanding of what a lived faith can mean. And how about the Stephen Ministers he has helped form so they are better able to care for those among us in need of support? I wonder if he knew how many meetings he would attend— and there were many! But did he know that he would start discussions that would lead to deeper insight and more intentional decisions? Did he know how many hearts he would touch? How many minds he would open? How many lives he would change? Did he know that he would help the Saint Patrick faith community discover the “mission that has us” as opposed to what we thought our mission should be? I wonder if he knew that he would become a beloved part of this community— someone we respect and look to for support and empowerment? Someone who would remind us that we are called to serve God in all that we do? 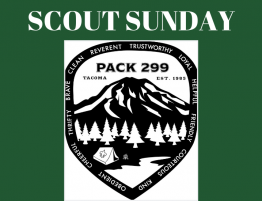 This year girls are included in the program and Pack 299 has three Lion Scout girls, all kindergartners, all attend Saint Patrick Catholic School, and all three are younger sisters of older scouts. 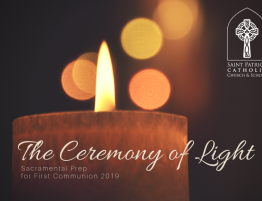 The Ceremony of Light is a ritual that affirms children in their baptismal call as unique and important individuals in our faith community as they prepare for the Sacrament of First Holy Communion. 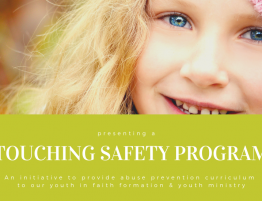 We are presenting a sexual abuse prevention course to youth enrolled in faith formation or youth ministry. 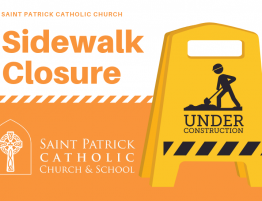 City workers have resume sidewalk improvements outside of Saint Patrick Catholic Church. 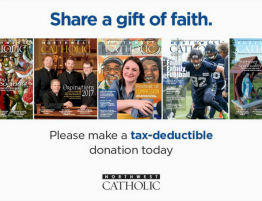 Give generously to support the Northwest Catholic Collection. 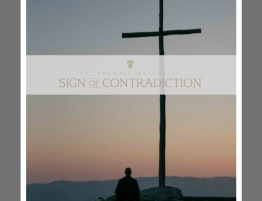 Join us for the movie screening of St. Francis of Assisi: Sign of Contradiction. 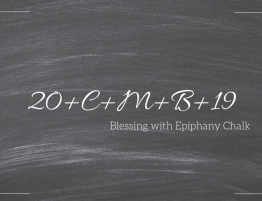 How do you celebrate Epiphany? 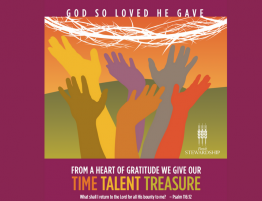 Thank you for making your commitment to our 2019 Stewardship Renewal.